I am going to be honest here . 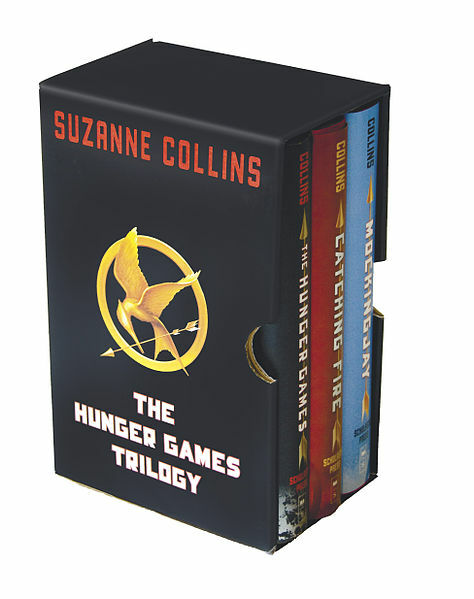 . . the movie trailer is what led me to Suzanne Collins’ The Hunger Games Trilogy. Thinking I would blog after each book was not meant to be. I couldn’t put, in my case, my phone’s e-version down. In fact, I was grateful that a four-day-hospital stay occurred during the reading. Poked in my arms and hands for blood withdrawal . . . fine. Shot in my stomach with blood thinners . . . bring it on. Taken to my fourth surgery in as many months . . . let’s do it (so that I can continue my reading). The storyline was intriguing and kept my attention throughout, the albeit alien characters believable, and plot twists interwoven throughout entranced me. Without giving too much away, I found myself wanting Katniss to ease up on Gale and allow him equal footing in the contest for her heart. Her abruptness with him in the third novel didn’t seem to ring true to her earlier interactions with him, but I suppose time and circumstances do alter outcomes. Since I don’t see myself or others munching on tree rats while discussing this trilogy, I, instead, look forward to a group viewing of the movie version of The Hunger Games come March 23rd. My favorite YA series in years! SCollins is a talent… Can't wait to see the movie!